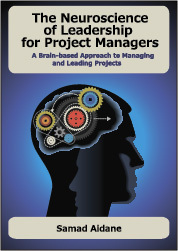 Stephen Cohen wrote a wonderful blog post on 10 analogies for managing software projects. One analogy that really resonated with me is # 7 “Battlefield management”. While I don’t mean to in any way belittle the heroic efforts and significant risk to those in real battlefield situations; software, particularly large complex solutions, required a level of persistent focus and simultaneous strategic thinking comparable to battlefield management. Leadership, good or bad, radically impacts the outcomes. At any moment in time there are hostile activities encroaching, counter insurgency tasks in various states of completeness, supporting logistical efforts in flight, and long range strategic planning efforts undergoing review and change. All of which require error free, clear and decisive decisions. The ongoing dance throughout the team hierarchy (and even the most agile processes have a hierarchy) relies on clear communication and a willingness to do tasks without too much regard for the “bigger” picture. Success is clear in the small and much less so at the macro levels. In both software and battle, victory is as much a state of declaration as it is fact. I find this analogy to be so valuable in appreciating the dynamics of projects which introduce complex changes to the organization. The key words that I find to be spot on are “hostile activities” and “counter insurgency”. Resistance to change can bring out the worst in stakeholders when their interests, priorities, or beliefs are challenged or threatened by the project. As a threat response, stakeholders can effectively use political maneuvering to undermine or derail the project. This reminds us that as Project Managers we cannot afford to be overwhelmed with details of the day to day responsibilities, at the tactical level, and neglect protecting our projects from strategic threats. We have to remember to create time and space for the clear thinking required to make decisions with both tactical and strategic implications. You can read the rest of this article on Stephen Cohen’s Thoughts on Agile and Project Recovery blog.